The Women for Shepherd University, in conjunction with the Shepherd University Foundation, hosted the Bodice Project exhibit October 27-29, 2016 at historic Popodicon at 109 Shepherd Grade Road. 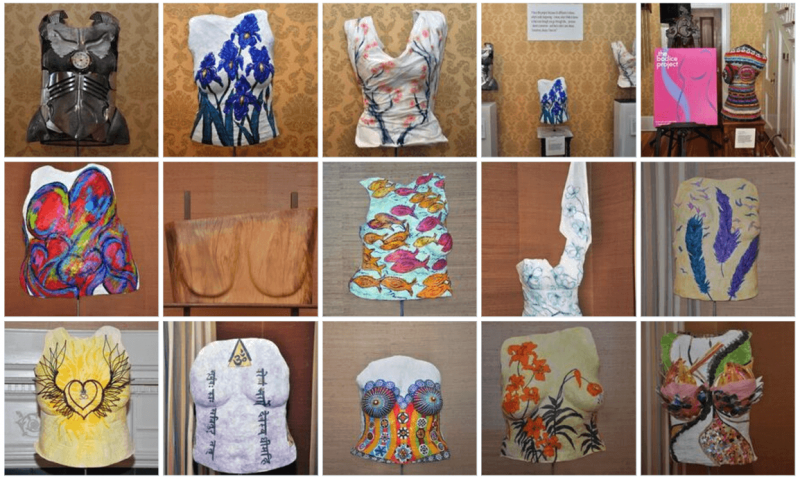 The Bodice Project is a sculptural exhibit that focuses on breast cancer awareness and inner healing. Project creator Cynthia Fraula-Hahn and additional sculpture artists were on hand to share their stories, and Shepherd President Mary J.C. Hendrix, a leading scientist in cancer research, spoke on her dedication to cancer research.